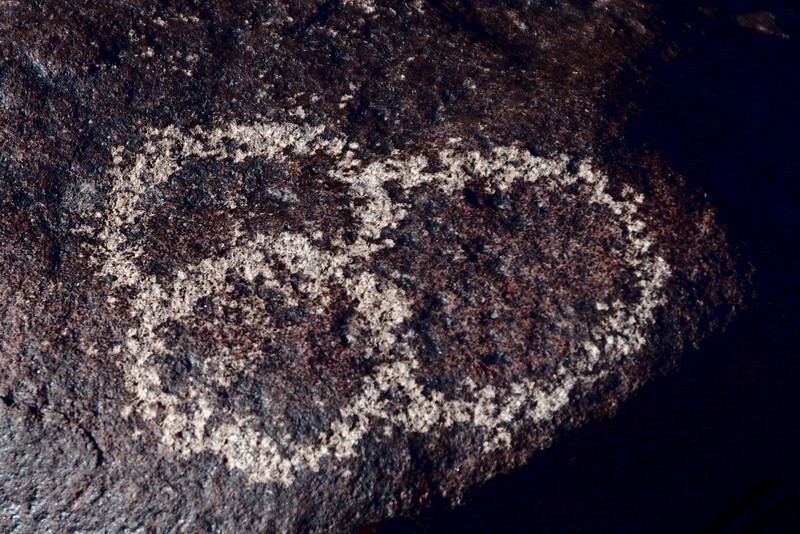 From the Bureau of Land Management website: "Painted Rocks Petroglyph Site, approximately 90 miles southwest of Phoenix, Arizona, provides visitors the opportunity to view an ancient archaeological site containing hundreds of symbolic and artistic rock etchings, or "petroglyphs," produced centuries ago by prehistoric peoples. There are also inscriptions made by people who passed through during historic times. Many well- known events in Arizona history occurred near the Petroglyph Site, including the expedition of Juan Bautista de Anza that founded San Francisco, the Mormon Battalion and the Butterfield Overland Mail."